Keeping it casual and simple, this case takes pride in its minimalist yet multi-functional design. The exterior has a natural leather look and feel in solid colours while the interior includes card and cash slots. 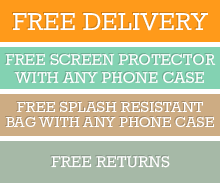 Providing an all-around phone protection, this folio case securely fits your phone with an inner case and surrounded by a durable shock absorbent material which absorbs the impact from bumps and falls. This minimizes and even avoids damages such as nicks, dents & cracks. This case is highly effective as it is made with the best quality cowhide genuine leather which is naturally tough. It is also treated to achieve a scratch-resistant surface which adds another layer of defense. Click the button below to add the Samsung Galaxy S9 PLUS Case Fashion Black Cowhide Genuine Leather Flip Cover with 2 Card Slots & 1 Cash Compartment to your wish list.